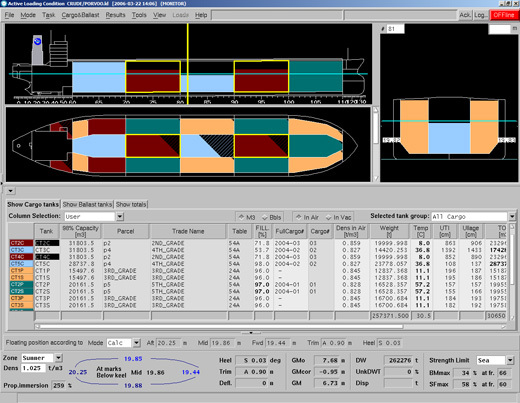 Napa Ltd founded in 1989 is an independent software house supplying the marine industry with high-end software systems for ship design and operation. The core competencies are based on in-depth understanding of 3D product modeling technologies and naval architectural analyses. 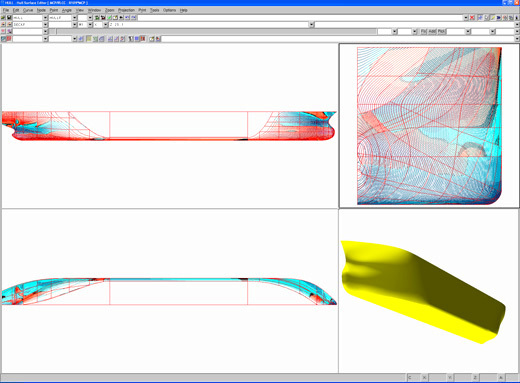 Originally developed as a loading computer, Onboard-NAPA incorporates a wide range of features for loading calculations, hydrostatics, intact stability and longitudinal strength. Onboard-NAPA, however, is actually a much more versatile system than the average loading computer complying with the statutory regulations. Onboard-NAPA's strength lies in its advanced and unrivalled features for damage stability and decision support - features that make the system ideal for fast analysis of ship stability in emergency conditions, including grounding. The development of Onboard-NAPA was initiated in the early 1990s at Napa Ltd. The system has gained wide recognition among ship owners and operators in a relatively short time. During 1996, being the first year of active sales promotion of the system, some 40 installations were made. Today, Onboard-NAPA is being used onboard some 600 ships, among them the world's most prestigious cruise liners. Taking safety management one step further, Onboard-NAPA can be expanded to a fully fledged decision support system. The Onboard-NAPA Decision Support for Flooding Control (DFC) concept goes beyond the mandatory requirements of the IMO regulations on decision support systems. It provides a fully computerized approach to the handling of emergency situations by integrating the various aspects influencing the ship's watertight integrity. DFC helps to evaluate which countermeasures should be taken in a distress situation, such as in the event of flooding. The most important thing to ensure should a flooding damage occur is that the flooding water can be contained within the damaged compartments. As DFC integrates Onboard-NAPA with the tank level gauging system, the location and quantity of floodwater can be identified. Having at hand real online information on flooding and the ship's actual floating position facilitates making well-informed decisions regarding evacuation and active flood-fighting countermeasures. Onboard-NAPA has a number of ship-specific versions and can be designed for any type of vessels. In accordance with customer request any other type of Loading Computer can be delivered as a part of System Solution.